We work with clients big and small, near and far. Book design is an intricate art. The pleasure of a well-designed book is equal parts information and emotion. It comes from the white space as well as the words, from the colours and images, the details, the weight of the pages and how it feels in your hands. The books and cookbooks we design are a reflection of this principle. Each is the product of fine analysis, industry-leading typographic expertise and a keen understanding of what makes a book beautiful. Book publication is immersive and exciting; it’s the transformation of an idea into something tangible which can be explored and shared. Chil3 work with publishing houses and self publishers at any stage of this process, from nurturing the first spark of a brilliant concept to preparing an already completed manuscript for the printing press. Poster design is an exercise in enticement. A poster is an invitation, a crucial first glimpse of something larger, and it needs to engage and inform at a glance. It’s a very concentrated piece of communication; every element must contribute something significant, and there is no latitude for anything superfluous. 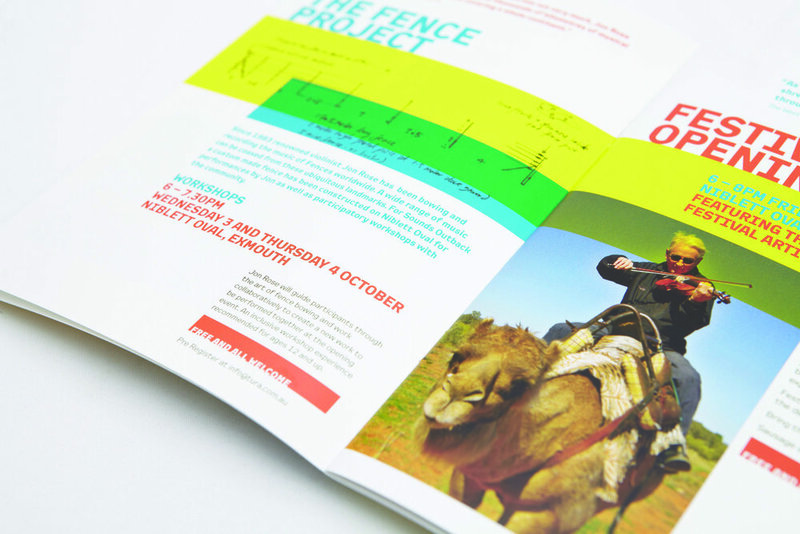 Chil3 specialise in designing posters and promotional material for clients in culture and the arts. We have produced work for events and festivals in music, art, design, theatre, film, literature and fashion. Each event is a unique proposition and requires a unique strategic approach. We ensure that critical information is accessible alongside the key features and exciting, evocative elements which will generate real public interest. Your poster is designed to attract attention and communicate clearly at a distance, and we address your marketing and social media strategies to maximise exposure. Most importantly, your design is crafted to reflect the style and identity of the event itself. Brand design is more than a logo. As the first point of contact for most clients, your brand identity distinguishes you and makes a singular impression with your customer base. But it should also say something about your business. Chil3 build a visual language for your brand that reflects not only what you do, but how you do it and why. The resulting brand identity is emotive, honest and immediate; it connects with people on a personal level and it stays with them. Chil3 designs brand identities for companies of any size and at any stage of development, from local start-ups to full corporate re-brands. A firm, comprehensive understanding of your business lies at the core of our brand design process. Every business has its own persona, its own values and its own goals. We work with you to develop a strong, authentic brand identity that sets you apart and consistently engages your customer base.